Happy hump day everyone! Today we're starting a new series on the blog called Cooking With Krystal, where we will post yummy recipes that are easy to make and, even better, healthy for you. We'd like to introduce you to Krystal Goodman. Krystal and PJ dated back in high school and have remained super close since then. She's in insane shape and always makes the tastiest, healthiest food. In fact, she's so good at it that she launched K's Kwik Klean Kitchen, a personalized meal-prep business, in the fall of 2014. You can find her on Instagram at @k_goodnutrition. 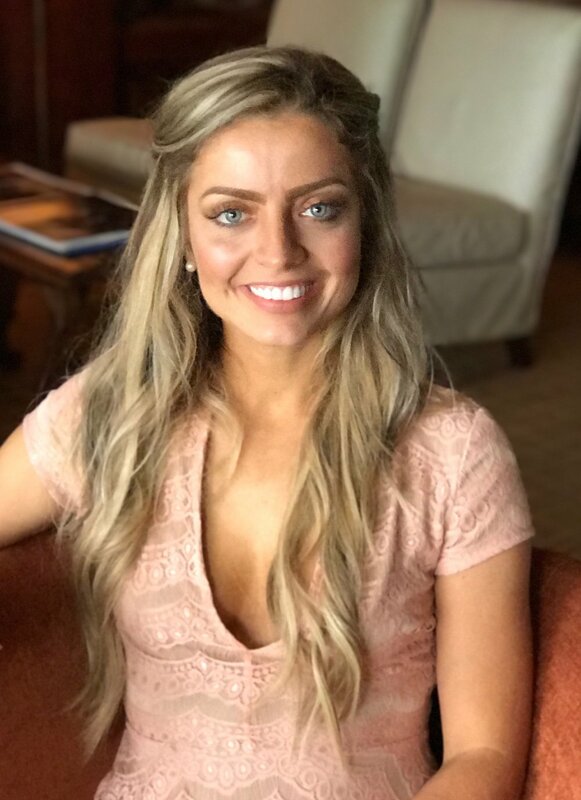 Krystal has a passion for healthy living and wellness and obtained her Bachelors of Science in nutrition from the University of Tennessee at Knoxville. She also has experience in Nutritional Counseling, Clean Cooking, and received her Personal Training Certification. Her national certification through NCSF as a CPT, along with another in the world-renowned TRX training system and AAHFF for nutrition, make Krystal a versatile fitness professional. Moreover, Krystal launched K’s Kwik Klean Kitchen in the fall of 2014, creating the perfect clean-eating meal-prep and meal plan solution for life’s demanding schedules. From weekly meals, to serving individuals with her nutritional expertise in meal planning and counseling; catering to each and every need. Nationally certified by the American Academy of Health and Wellness, Krystal’s knowledge of nutrition extends far beyond her incredible penchant for cooking. Krystal has also shown her expertise at Blackberry Farm, an award winning five star bed and breakfast known for its nutrition and wellness, as their personal trainer and nutritionist. On the farm she leads group fitness classes ranging from an outdoor high intensity class to an aqua fit class. With her nutrition knowledge, she leads nutrition lectures, one-on-one nutrition consultations, and juicing sessions for guests. 1. Prep your veggies: chop the brussels and sweet potatoes to have them ready for cooking. Heat a skillet at medium heat . 2. Spray your skillet with cooking spray and add in the sweet potatoes and brussels and cook until both are soft in the middle, about 15-20mins. Add a little olive oil, sea salt, pepper, and garlic. 3. Meanwhile, heat another skillet at medium heat spray with cooking oil and add chicken tenders with a little olive oil, sea salt, and pepper to taste. Cook for about 12-15mins until chicken is no longer pink in the middle. 4. In a sauce pan, heated at medium heat, add chicken broth, cauliflower rice, garlic, sea salt and pepper. Let it cook for about 10-12 mins until cauliflower is no longer hard. 5. In another sauce pan, at medium heat, start your vinaigrette by adding in all ingredients as it gets hot, and mash your figs to make it a thicker consistency. Once the figs are cooked down, let the sauce simmer on low until all other ingredients are done. 6. Once everything is completed, mix together in a bowl making 4 servings and enjoy! Okay, brb, drooling all over the place. Is anyone else all of the sudden starving? We want to thank Krystal so much for sharing this recipe with us! We will definitely be adding this to one of our "we want to be healthy tonight" meals.